I wish I could invite you into my home to smell the wonderful aroma of cinnamon coming from the Aquiesse™ Cinnamon Tabac candle. This warm scent really emits a touch of holiday cheer with real cinnamon, vanilla and just a hint of sweet aged tobacco. The Aquiesse™ Holiday Candle Collection is luxurious and is inspired by “traditional fragrances of winter and all of its historical celebrations.” Aquiesse™ is proud that their candles are made using traditional candle making techniques. I appreciate that Aquiesse™ candles are made out of soy wax and are clean burning with lead-free wicks. 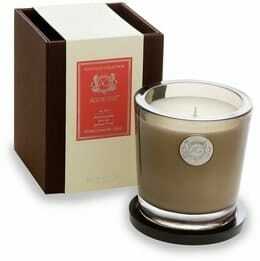 Another wonderful scent in the holiday collection is the Pomegranate-Sage candle. This scent really highlights the fresh, tart pomegranate and earthy sage. It is one of my favorite candles in their collection….it smells amazing! Aquiesse™ candles are ready for gift giving as it comes attractively packaged in a beautiful box. The candle itself is in a lovely glass container with lid. Any of these candles would also be lovely as part of your holiday décor or to showcase for your dinner table celebrations. You are invited to visit the Aquiesse website or connect on Facebook and check out all four holiday fragrances including Holiday Winter Currant, Frankincense and Myrrh and Monterey Pine. Aquiesse is available for purchase at many online or nationwide retailers.